Fantastic container for loose change, tall flowers, bottle caps or corks. 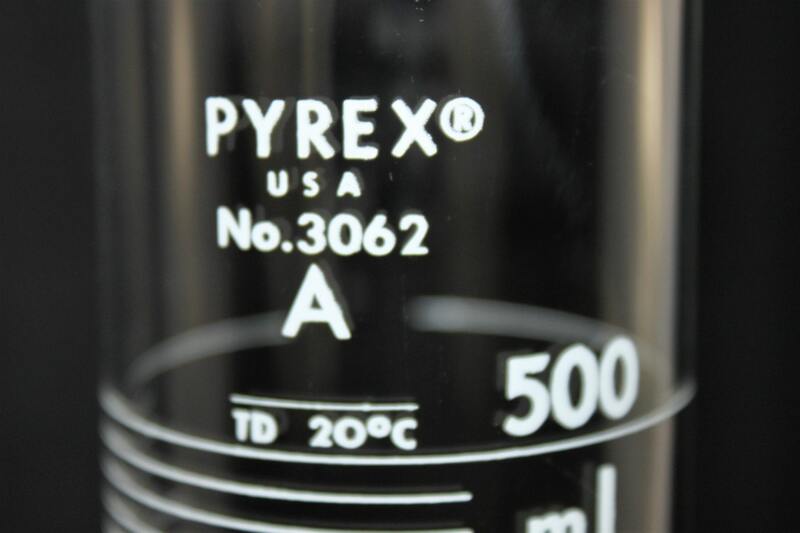 This PYREX® graduated cylinder are precisely calibrated "to deliver" (TD) +/- 2ml. 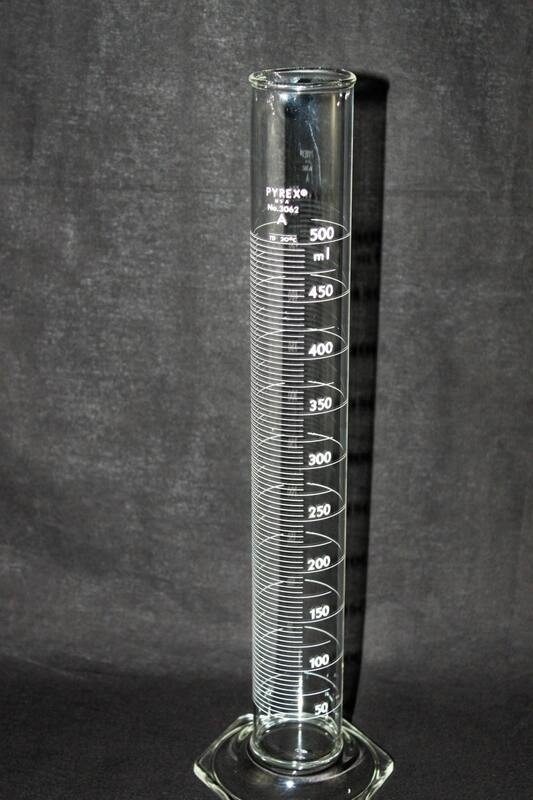 Permanent white graduations every 5ml are easy to read. 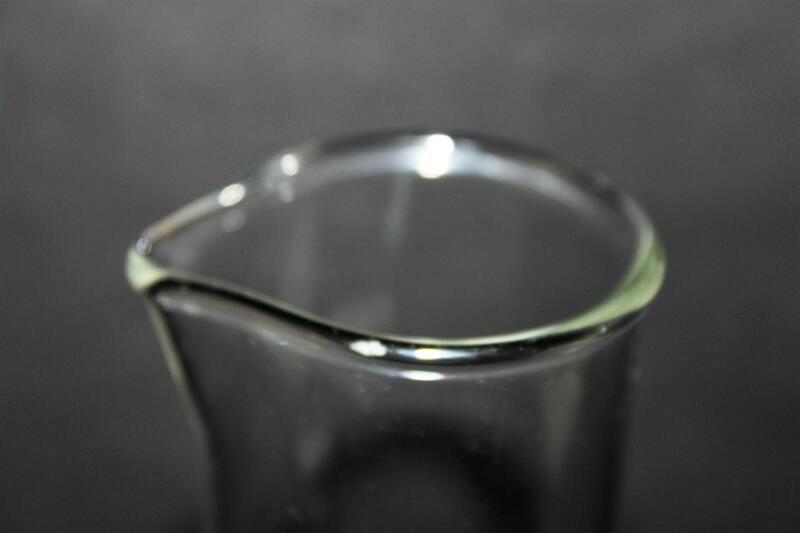 Cylinder have a sturdy hexagonal base. 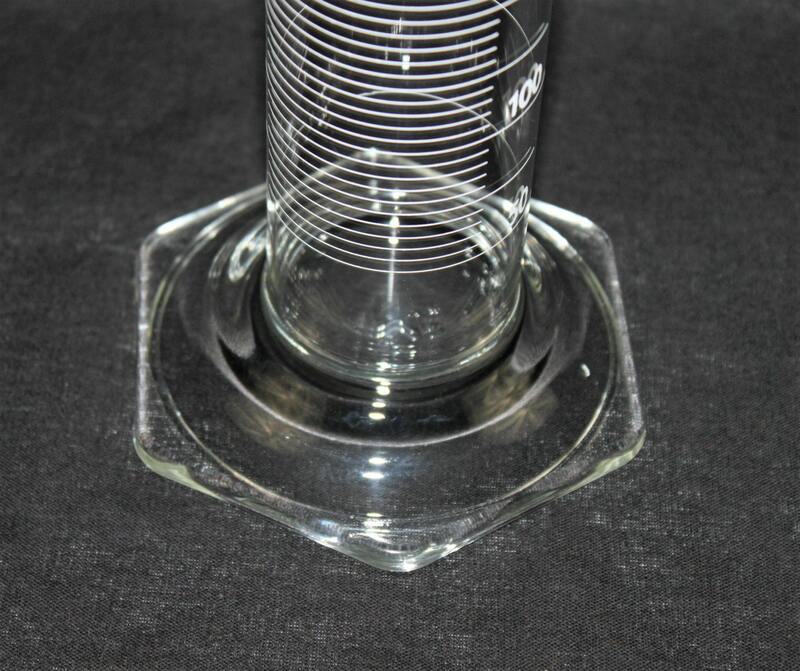 Approximately 15 ½” tall and 4” wide at base. 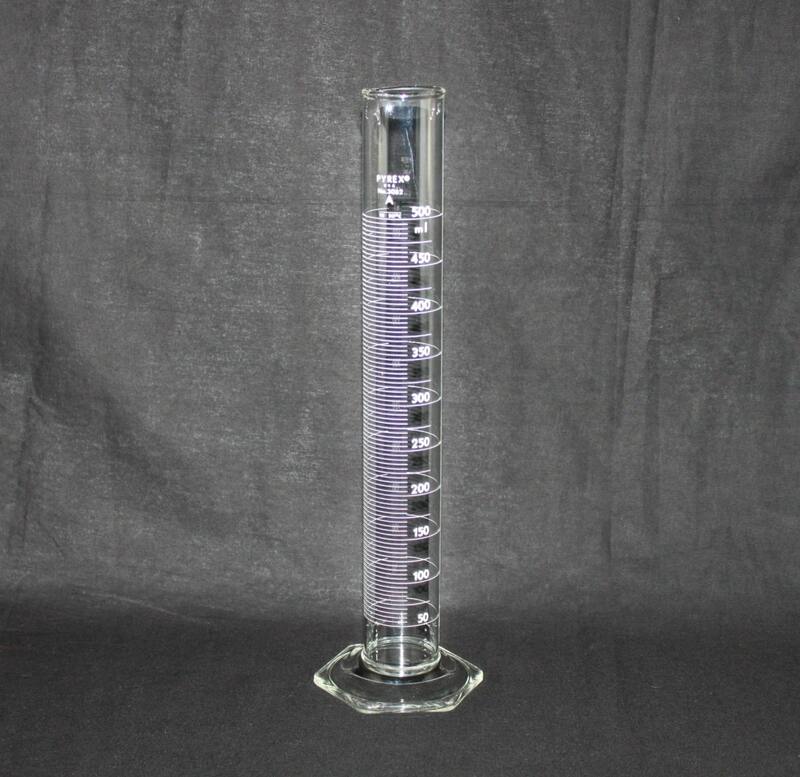 Excellent used condition with no marks, chips or cracks, this was used as labware but has been thoroughly cleaned.